After his goal against Borussia Dortmund on Tuesday night, Harry Kane has become just the second Englishman to score at least five goals in multiple Champions League campaigns, following in the footsteps of Steven Gerrard who was the first to accomplish the feat in 2007/08 and 2008/09. Kane got in behind the Dortmund defence via a Moussa Sissoko through-ball in the 48th minute and finished clinically at the near post, extending Tottenham's aggregate lead in the tie to 4-0 and securing their spot in the quarter-finals of the competition. The Englishman's consistent form has been a symbol of England's resurgence in international competition. Consistency is key to being a world-class striker and there arguably hasn't been a player as reliable as Kane in the past five seasons. The striker has bagged 30+ goals in all competitions dating back to the 2013/14 season and does not seem to be slowing down any time soon. Kane's dominance in European football has been an inspiration for England supporters all over the world. During a period in which English teams have struggled at the club and international level, Kane is just the player to break this unfortunate run of disappointing seasons. With Gerrard being the last English player to accomplish multiple five-goal European campaigns, there has been a level of negativity surrounding English players in international competitions over the last decade. 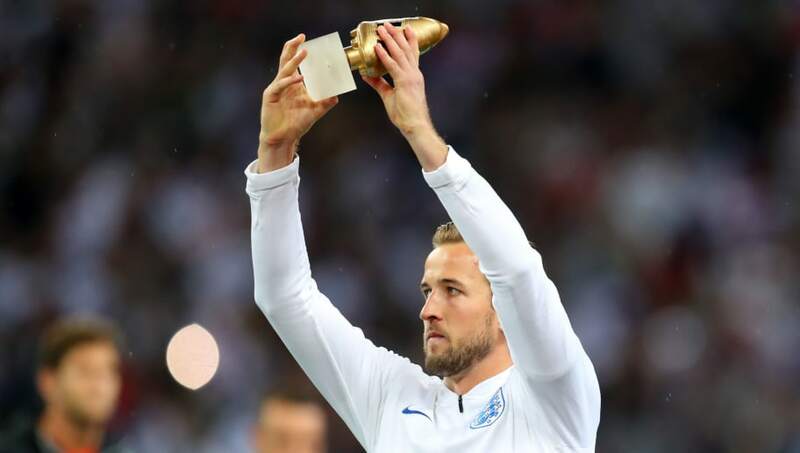 Kane's influence can be seen in Tottenham's run to this season's Champions League quarter-finals as well as England's remarkable campaign in last summer's World Cup, reaching the semi-finals. It comes as no surprise that chants of 'football is coming home' can be heard around the country during any competitive international match. Kane is leading the new generation of English talent into a spotlight that has not been present since the mid-2000s, as his inspired performances have led Tottenham and England supporters to hold the local talent in much higher regard. Young players coming through the England ranks have perhaps benefitted the most from the 25-year-old's influence on the squad. ​Marcus Rashford is regularly deployed with Kane in a striking duo for England and is regarded as one of the best young attackers in the world. Rashford calmly stepped up in stoppage time to convert the penalty that knocked PSG out of the Champions League on Wednesday night in a moment that felt very Kane-inspired. Within the England squad, no player has prospered more than ​Raheem Sterling. The 24-year-old winger has thrived at the national team level with Kane leading the line. When combining with the big man up front, Sterling is given with much more space down the flank to provide his trademark cut-back across the box or open up his body to curl the ball past the goalkeeper. Kane's ability to make everyone around him better is something England fans have not seen since the likes of Gerrard and Frank Lampard graced the pitch for the Three Lions. Despite playing as a forward, his technical ability opens up space for his teammates to show off their best qualities. England has long awaited for this type of dynamic playmaker, and his finishing ability gives the rest of the squad confidence that they could bag a winner at any moment. Kane will be leading the way for English players if he continues scoring goals in every competition he plays in. England fans have their leader and they can count on the striker to continue his international dominance at both the club and national team level.